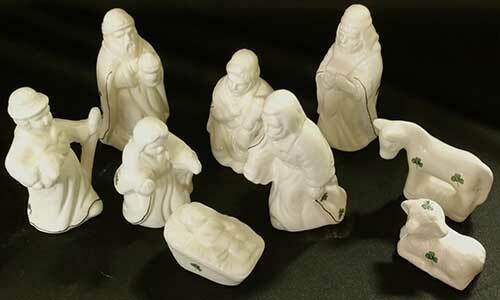 This shamrock Nativity set includes the Holy Family and a shepherd along with the Three Wise Men and barnyard animals. 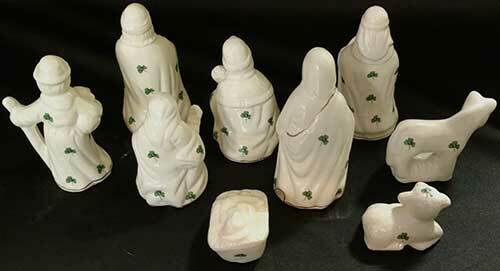 This Irish Nativity features a nine piece set that is enhanced with green shamrocks along with gold accenting. 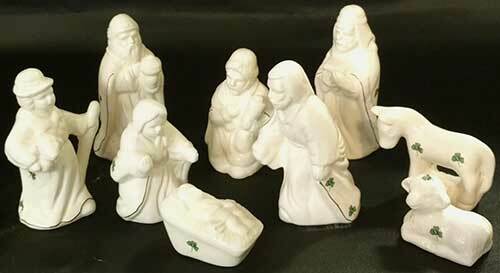 The tallest pieced in the shamrock nativity set stands 4" tall. 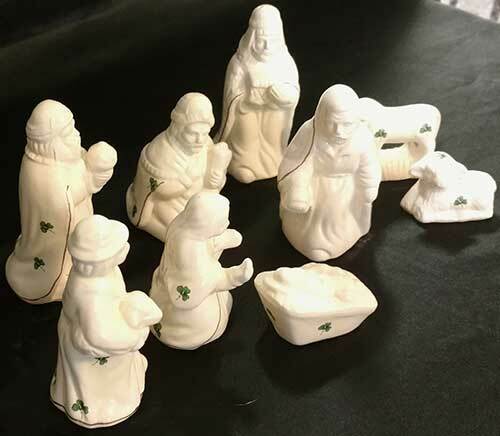 This Irish Christmas decoration is made in Ireland by Liffey Artefacts and is gift boxed with a shamrock history card, complements of The Irish Gift House.